We all love to be spoiled now and again and our pets are no different. They give us so much love and affection that sometimes we may not always truly show how much we care. But, there are really cool things you can do to spoil your pet that will truly make their day. So whether you’re celebrating your fur-friend’s birthday, their adoption day, or just because… we’ve got some simple ideas for your pet – and they don’t have to cost a fortune. A new collar, bed or bowl would be a lovely surprise for your pet – especially if the ones they have are getting a little worn! There are loads of businesses out there that now offer personalisation for pet products – with everything to suit the smallest of creatures to the largest of hounds. So scout out the one that suits your needs and budget and create a special surprise. But… gifts and treats don’t need to be expensive. Who doesn’t love a run and rumble at the dog park? Make it a play date with some of your furry friend’s buddies and instant fun can be had! Not only is it a great chance for your pet to expend some energy, but a great way to exercise and show your dogs that you enjoy the same energetic fun that they do. Giving your pet the best care when you have to travel is always a pet-parent’s top priority. 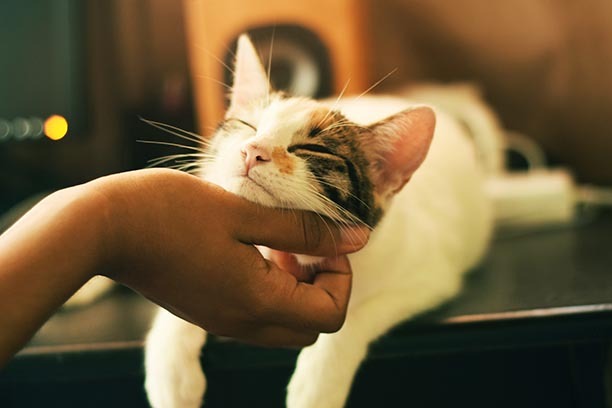 Engage a house and pet sitter for free and your pet will be treated to personalised attention and care and an almost pet-parent love that can’t be beaten by any other pet care facility. It helps sitters out there looking for a place to stay and saves pet and home owners loads of money on pet care. If money isn’t an option, then a pampering session at your local pet spa is a must. Treat your pet to a luxurious bath and grooming session, and, go on, get their nails painted while they’re there. If you’re looking for something a little more budget-friendly, call in your local pet wash service and give them a good grooming by those with loads of experience managing animals. Of course, you can’t go past treating your pet to some regular old ‘me and you’ time. We’re all very busy these days, but schedule some time in your diary to just sit and cuddle with your pet watching TV, reading a book together or just enjoying the day in the backyard. Sometimes the simple pleasures are the ones that count the most.